Most of us use Google products almost every day. We do many searches in Google, watch funny videos in YouTube and many more. But have you ever felt that how nice it would be if you can earn online from this Google products. Yes, you can earn decent amount from YouTube by just uploading some interesting videos. At the first let me introduce you to YouTube. YouTube is just a video sharing website in which you can upload some good videos and share with the world. YouTube became the part of Google on November 2006 and since then it is flourishing. So you are thinking how can we earn from YouTube? 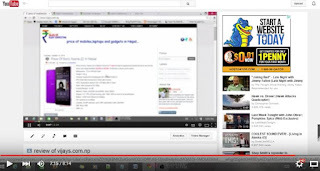 It is simple, as you upload good quality video in YouTube many people will search and view your videos. They will subscribe you and whenever you upload any video they’ll be the first to watch it. As they watch your video Google will fetch them some advertisement through its YouTube Monetization policy and in this way Google will earn some amount which it shares with you. 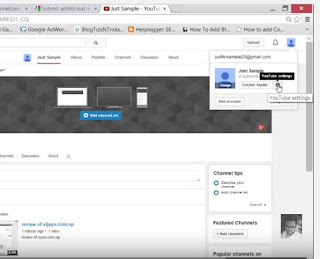 In this way you will earn some decent amount through YouTube. Many successful YouTubers earn millions of dollar annually through their YouTube video the hot example is PewDiePie who has already earned tons of dollar from his videos. You can also earn though to reach the level of PewDiePie may take some more time and effort. Step 2: After you have created your channel log in to your channel through your valid email address and password. Step 3: Once you are logged in click on your profile picture shown at the right top of the screen. Step 4: When you click on your profile picture, a drop down box appear where you can see a gear icon or YouTube Setting icon. If yes click on that gear icon. Step 6: Clicking on the link will take you to your channel status and feature page where you need to verify your status by clicking on the verify tab. After clicking on verify tab, you will see a page like below then select Nepal in select your country tab. 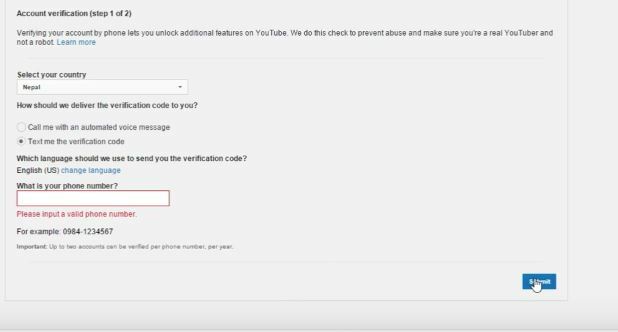 In how should we deliver verification code to you? Choose text me the verification code and in what is your phone number field? Enter your valid mobile number and press submit button. 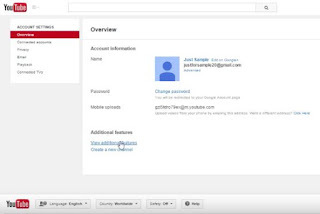 Step 7: After you have verified your account click on the advance tab under channel setting. Step 9: Enter any keywords which defines your channel widely in the channel keywords field (example: if your channel is about technology you can enter keywords like technology, mobile, smartphones and so on) and hit save. 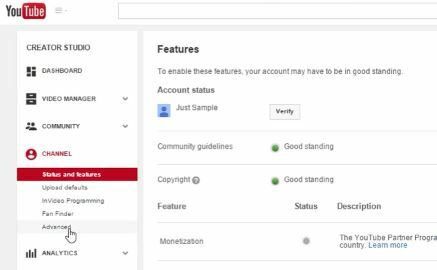 Step 10: Now go to the status and features tab under channel settings where you can see enable tab near the monetization. Click on the enable tab. 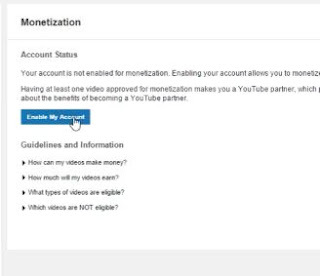 Step 11: Clicking on the enable tab will take you to the monetization page where you need to click on enable my account tab. Step 12: After clicking on enable my account tab you will see a terms agreement where you need to check out all the boxes and click on I accept tab. 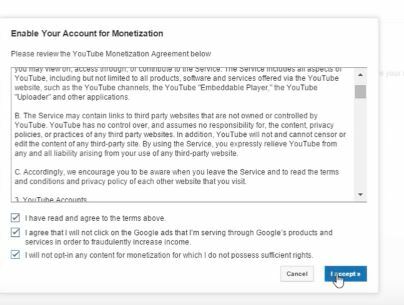 Step 13: If you already have a video then you can see a dialog box appearing where you need to check out first two boxes and click on monetize tab. 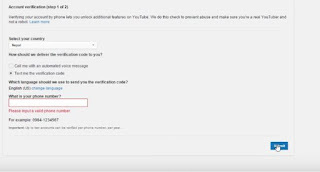 That’s all you are done after following these steps you will be able to monetize your YouTube Videos from Nepal and earn some decent amount from YouTube. Hope the tutorial was helpful, let me know in the comment below.